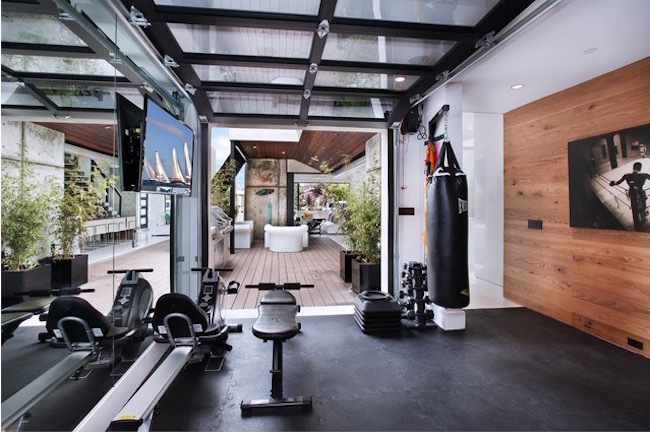 Few days back we published an article to help you all to find places in your home to place home office, this time we are showcasing some of the awesome home gym ideas that will help you in creating your own gym at home. Whether you have ample space or not, if you have that will get your own personal gym at home, you will find a corner where you can workout. You can easily transform any room in the house into a home gym and not worry about having to hit the gym. Check out some ways to set your own home gym if you don’t get time to go to the gym regularly. 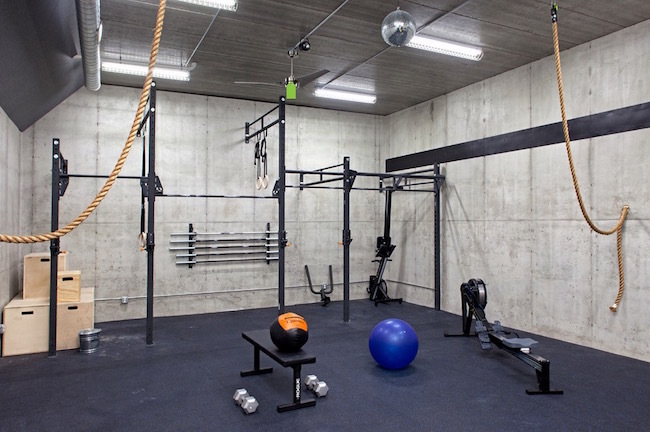 If you have a basement area that is not much used, you can easily transform into your home gym. 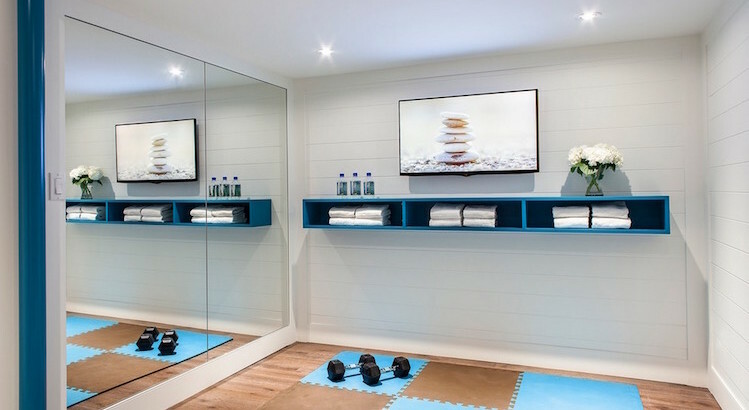 Make optimum use of the space and depending upon the area available and the choice of elements can add large mirrors, rubber flooring and some amazing range of exercise equipment. If you still have extra space available, you can make space for stretching and yoga, add full wall mirrors, television or whatever you want to in in there. Many people have an outhouse or a space that is the part of the home property, but is not connected as in like all the rooms of the home. If you have that you can create a home gym that is separate from the rest of the house. It allows you to get away from all the stress of the day. Besides, if there are large windows, these give you an outside view. 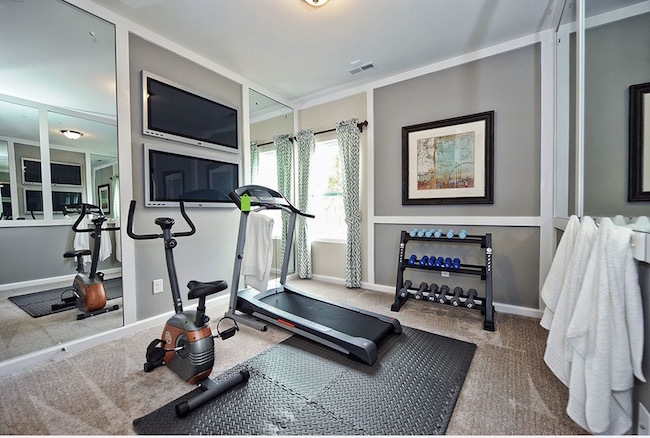 With people facing the space-crunch issue, they can have a home gym by finding the right corner and placing exercise equipment in the living room which is a convenient option for those who are living in small apartments. 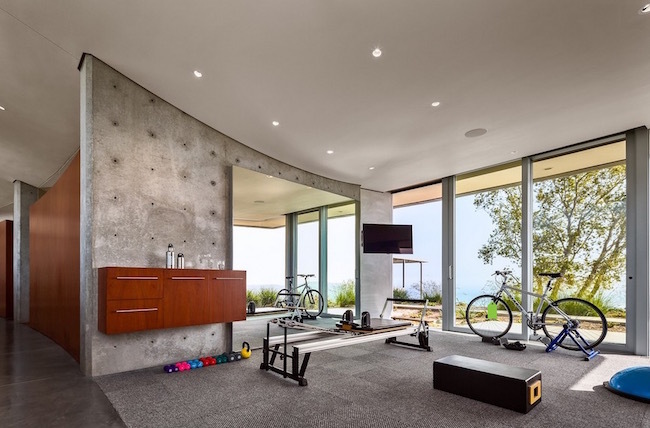 Homes with large garage can be transformed into a gym. If you look at it from a different perspective, it can solve the dual purpose. 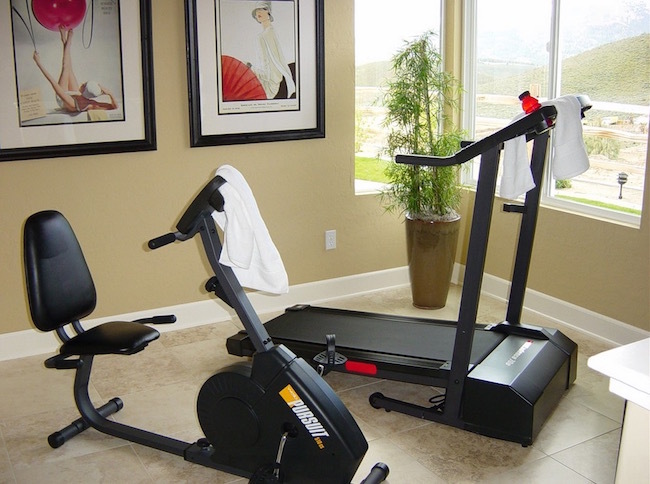 You will have plenty of space for cardio equipment and boxing equipment. Turning a garage into a workout room leaves a room in your house which you would have had otherwise used to create your home gym. 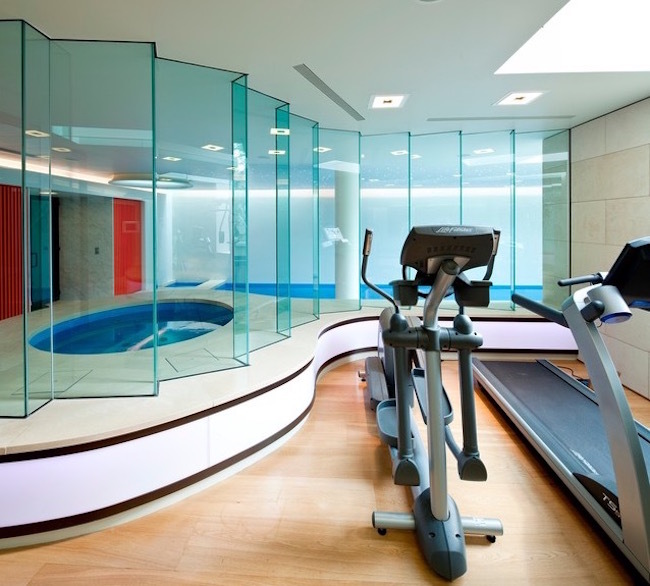 With people going green in terms of home designing, users can have an eco-chic home gym. Full length windows maximize natural light to filter in, makes one feel fresh and doesn’t ask you to turn on the electricity. If you have a room in the attic of your home, you can make the best of it to create your home gym. 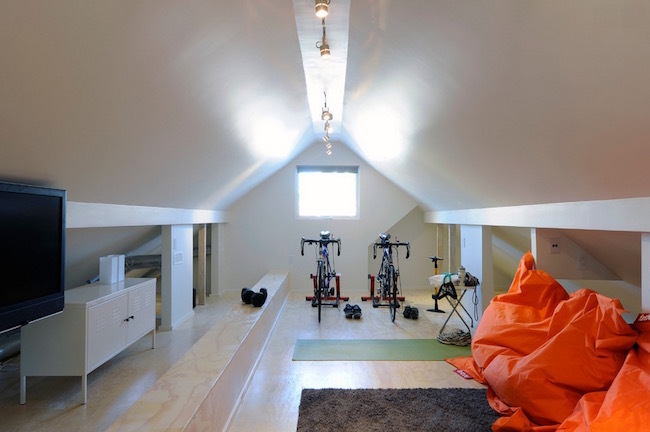 The attic is one of the most secluded areas in the home and is a great place to workout. If you’re the one working from home and despite that don’t have time to hit the gym or can’t afford to spare a room for a home gym, this idea would be best for you. Put an exercise equipment in your home office and when you are tired of staring at the screen of your laptop/desktop, you can take a refreshing break and workout. 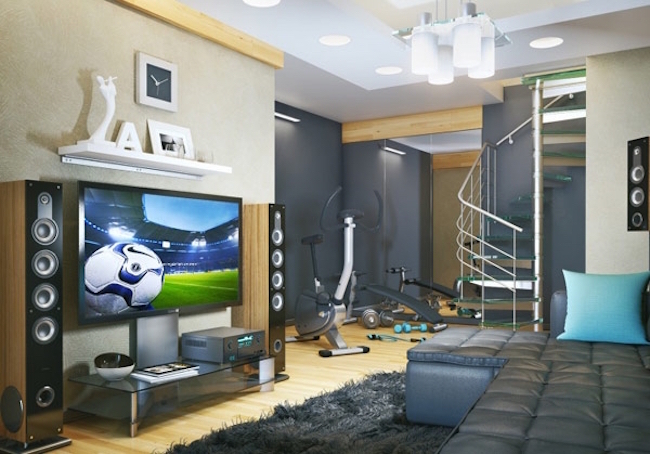 You can create your own contemporary home gym anyway you wish to. 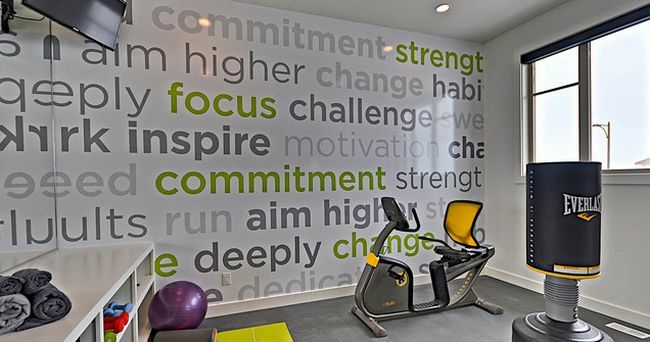 Here is a super cool home gym idea with inspirational words on focus wall. Living in a digital world where we wish to keep ourself updated with the latest stuff, not missing any important stuff, you can go for a digitalized home gym idea with television or any kind of digital stuff you wish to. It is ideal for tech savvy freaks. If you have a swimming pool in your house, probably there will be a changing or dressing room. You can use that area for creating your home gym. Once you have created your home gym, I am sure you’ll be looking for equipments and you can take the help from our article showcasing 10 must have home gym equipments. Do let us know what you think of these and our articles previously published to help you all with the super cool home gym ideas. Now that you have checked our list of home gym ideas, if you have any idea other than these; share your home gym idea with us all.